So you’re getting married?? AWESOME!! Congratulations! Usually we are all about your special day: the linens, table design, china, chairs, lounge furniture, etc. 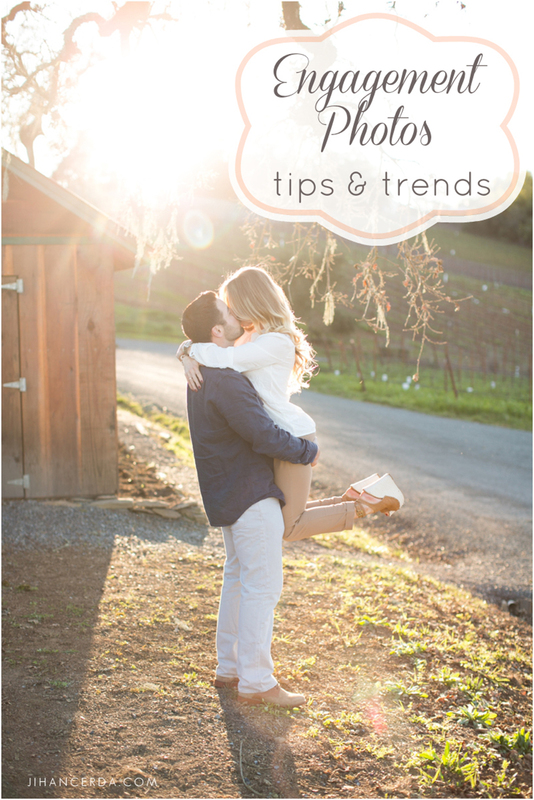 But today we want to share some tips and trends for another important detail: your engagement photos!! We chatted with one of our favorite photographers, Jihan Cerda about some tips for making your engagement photos amazing! 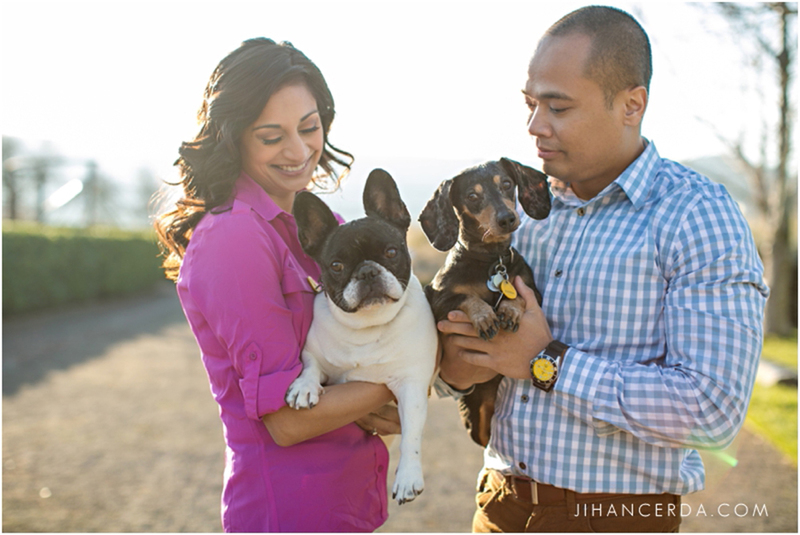 Jihan is a boutique wedding and portrait photographer located in Sonoma County. When I think about engagement photos, I think about picturesque locations. Whether it is a famous landmark or a special place that holds meaning for the couple, location is probably the most important decision to be made. Jihan’s tip: Keep in mind the time of year when choosing your location. For example, the brilliant golden mustard fields are only in bloom in early spring. Summer fog can erase the Golden Gate Bridge. Jihan strongly recommends taking your photos at sunset. 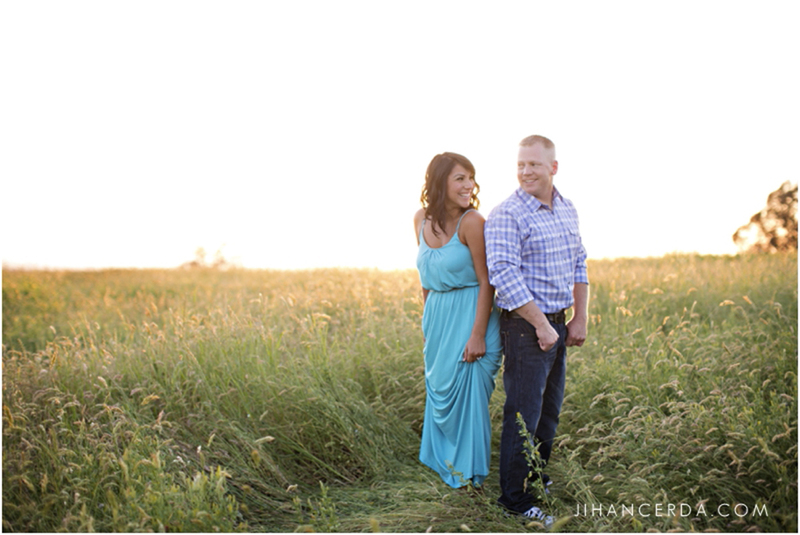 Start your session an hour and fifteen minutes before the sun goes down for gorgeous, flattering light. Bright sun provides harsh light that can cast awkward shadows and leave you with unflattering, squinty eyed-photos. Most photographers will encourage more than one outfit during your session. This allows you to bring a dressy option and one that is a bit more casual. Be bold, be sassy, and have fun with what you wear. Jihan loves color and recommends adding a “pop” in whatever color you choose which can tremendously enhance the feel of the photo. Props and pets can also add a personal touch to your photos. Why is this so important? Pictures last forever and you obviously want to look and feel your best. However, professionally done hair & makeup for an engagement photo session is an excellent “trial run” for your wedding day. Since having your picture taken all dolled up isn’t something you’re familiar with, it’s always a good idea to get the jitters out with a practice run. Jihan says the engagement shoot helps ease any apprehension you may have and helps you become comfortable in front of the camera—making the wedding day photos that much better. 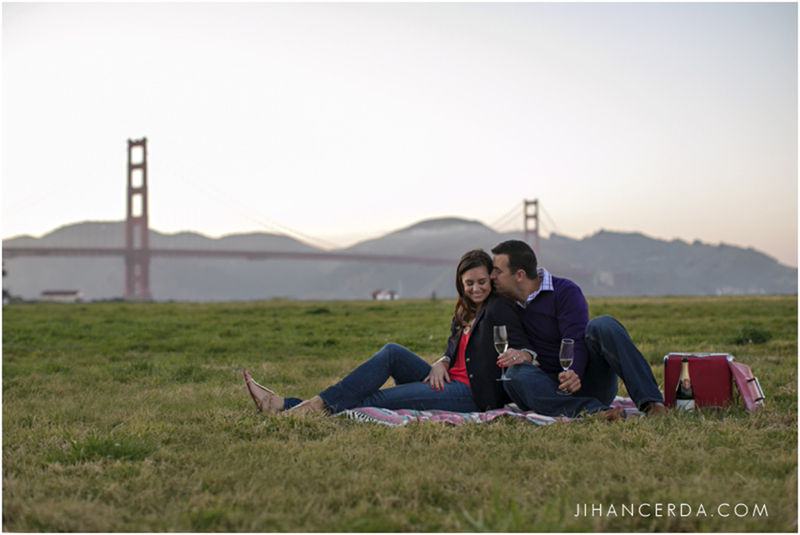 Above all else, remember engagement photos are keepsakes for you and your partner to celebrate your upcoming marriage! Don’t stress, have fun and be yourself. 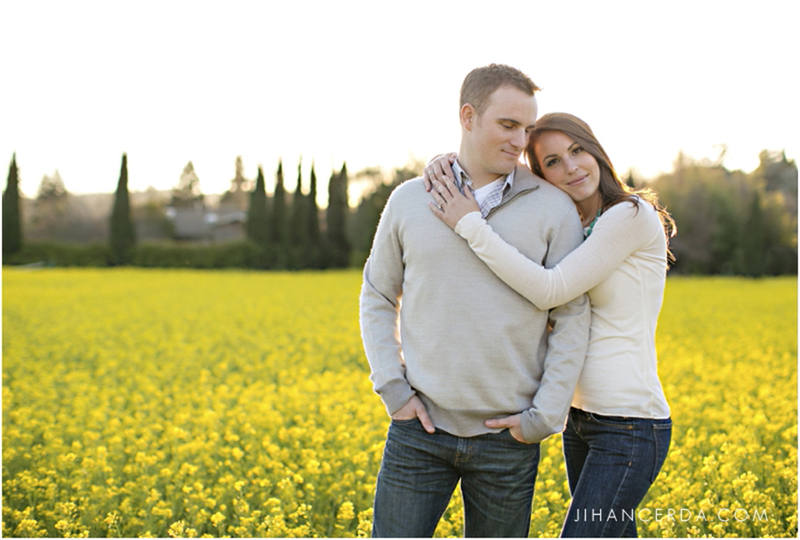 Playfully interact with each other during your session and let your photographer do the rest! Special thanks to Jihan Cerda Photography! To connect with Jihan and learn more about her wedding collections, visit www.jihancerda.com.